Popularizing your business online requires a lot of strategies. Just depending on the official website that you have created will not give that successful edge to your business. Thus, it is important that you have a successful online business strategy for the smooth running of your business on the Internet. By a successful online business strategy you need to understand that you will have to make use of well-planned SEO strategy, a channelized direct marketing technique and also using of various social networking platforms. The social networking platform basically helps businesses to successfully advertise their business and their brand name. Apart from that, with the help of social media platform an entrepreneur can also grow their cliental base. So, which are the most renowned social media platforms that entrepreneurs are making use of? Well, facebook, Twitter, LinkedIn, and also Instagram are some of the most popular social networking sites that are available these days. 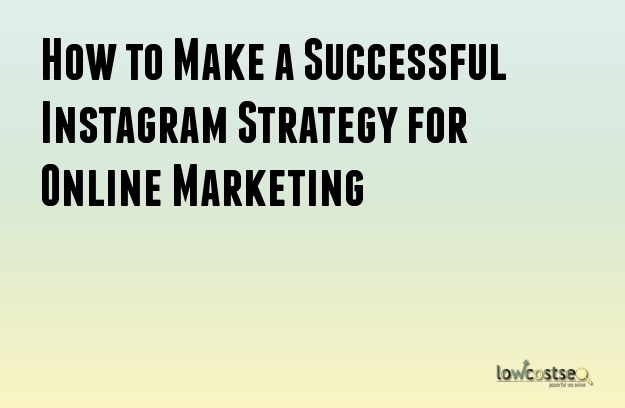 But, are you are aware of the right strategy for successfully using the Instagram? Well, here are some tips that can certainly help you with it. By applying the right strategy, you will be able to draw more traffic to your websites. Apart from that you can also display your product images with the help of Instagram. It is important to maintain a similar profile picture for all the social media accounts that your business has. The reason being is that people are going to find more convenient to relate to your business. It is very much significant to give a proper explanation about the whereabouts of your business on the Instagram page so that people are aware of your business mission and vision and also the products and services that your business is dealing in. Apart from that, it is important to provide a similar name to your profile which must be similar to your business name so that it is easy for people to find your business in the search results. Do create a landing page for your Instagram on your official website and make sure that you create a link to the profile. If you are in the notion that putting in too much of feeds will help you to advertise your business more efficiently and you will be able to gather more traffic then you are mistaken. It is smarter to divide your feeds and posts according to a schedule that you should prepare. This is will help in gathering more traffic and on a regular basis. Limited information feeds are more effective. Keeping the same image for a longer period of time will get the viewers and readers bored. So, it is important to change the images of your products on a regular basis. This will help in gathering the interest of your viewers. Make sure that you also post pictures that are related to your brand. You can also share images of what you are doing behind the scenes as it is a good way to attract the attention of your customers.